What are 3P Oil & Gas Reserves and Why Are They Important? Evaluate Energy and CanOils have recently added 3P oil and gas reserves to our databases, enhancing two already extensive oil and gas company data analysis tools. But what are 3P reserves, and why are they important? Understanding a company’s recoverable oil & gas reserves is important when trying to establish their present and future value, but to do this you first need to understand the reserve information that is being provided. There are 3 main reserve categories under the Society of Petroleum Engineers (SPE) definition: proved; probable and possible reserves. 3P reserves refers to the combination of all three of these totals, i.e. Proved plus Probable plus Possible. Anything below “possible”, i.e. less than a 10% certainty of being able to commercially extract the oil or gas with currently available technology, will fall into ‘contingent resources’ or ‘recoverable resources’ categories. See the below diagram of the SPE definitions for further detail. Why Do Only Some Companies Report 3P Reserves? 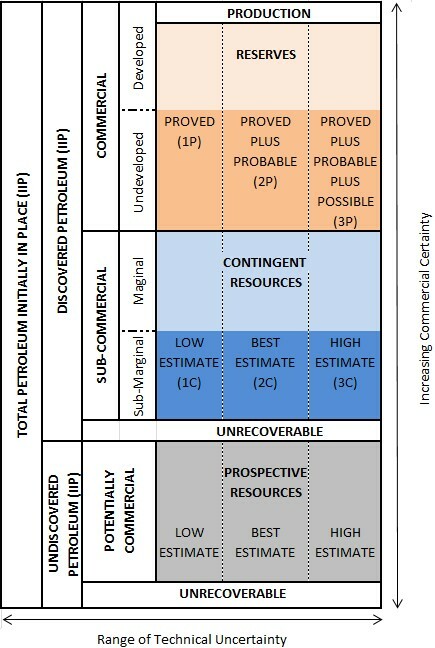 Proved (1P) and Proved plus Probable (2P) reserves are commonly used throughout the oil and gas world, but 3P reserve information, Proved plus Probable plus Possible, is relatively scarce. This is due to basic reporting requirements set by governing bodies. In Canada, for example, companies have to report proved (1P) and proved plus probable (2P) reserves under NI-51-101 regulations, but 3P will only be reported if the company chooses to do so, as there is no legal obligation. This means that the cost of having oil and gas deposits evaluated by reserves engineers for 3P reserves can be weighed up against the overall benefit/potential investment a company will get from publishing the findings, to see if it is worth carrying out at all. Therefore, many companies will not report their full spectrum of reserves under all classifications to the investment community unless they see a benefit of doing so. This balance between cost and benefits is also a reason why many companies will only give 3P reserves for certain fields, focus areas, or prized assets – paying for assessments of deposits you aren’t going to develop any time soon is not required. Despite this lack of legal obligation and the extra costs involved causing many companies to opt out of 3P reserves disclosure, and the fact that reserves engineers are only between 10%-49% certain of being able to extract them, Evaluate Energy and CanOils still feel that it is important information for our clients to see. We are now seeing more and more companies beginning to report 3P reserves, especially from the junior end of the company spectrum. Junior companies will typically buy into prospective fields, spend their first few years in existence trying to prove commerciality, and then either get acquired by or merge with a bigger player, or are joined in their commercially viable oil or gas project by a bigger player who typically takes on most of the operating costs – known as a farm-in partner. In the junior companies’ early days of evaluating an asset, there isn’t a lot of money going around to pay for extensive exploration work. So typically, only a high level overview is possible, which results in little or no proved or probable reserves being booked, but maybe a high amount of possible reserves. 3P reserves are therefore a great barometer, despite their 10% certainty rating, to assess the potential of certain assets or entire companies if they are at these early stages of development. The TSX-V exchange in Canada and the AIM exchange in London have many companies that fit this description, and 3P reserves and the hundreds of metrics Evaluate Energy and CanOils provide alongside them will be vital to any analysis of these emerging oil and gas players. Evaluate Energy and Canoils provide efficient data solutions for oil and gas company analysis, with over a decade of historical financial and operating data, and extensive M&A, Assets and Financings databases. 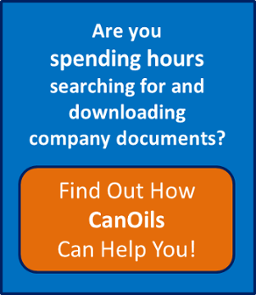 To find out more about the data we provide, download our Evaluate Energy or CanOils brochures now!